As one of the largest medical residency programs in the country, we provide postgraduate clinical training to more than 1,400 residents across 150 accredited residency and fellowship programs. Our physicians are at the forefront of their fields. All actively mentor and cultivate a new generation of leaders committed to healthcare that is both excellent and equitable, while also providing a unique opportunity for hands-on training. There are many reasons why Montefiore has consistently drawn residents from top medical schools across the country. We invite you to explore this section of our site to learn more about life as a resident with the Department of Psychiatry & Behavioral Sciences at Montefiore. Both our Moses and Einstein campuses are located in pleasant residential communities in the northern reaches of the Bronx, surrounded by private homes and apartment buildings that compose the neighborhoods known as Morris Park, Eastchester and Pelham Parkway. Housing options are well thought-out and plentiful for our residents. An apartment tower adjacent to Montefiore provides housing for residents that includes air-conditioned studios and one- and two-bedroom apartments. Garage parking is also available. Another Montefiore-owned apartment building in the tree-lined Riverdale section of the Bronx offers housing less than 10 minutes from the hospital, with free shuttle bus service to and from the Medical Center. Additional housing is available five to 10 minutes away by foot from the hospital in the local community. Finally, just about every type of housing is available within 15 miles of Einstein/Montefiore. 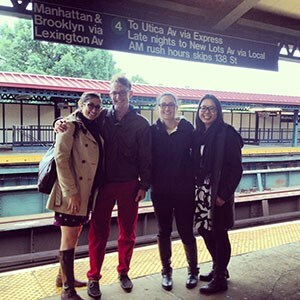 Many residents live in Manhattan, which is easily accessible by car or train. In addition, some residents have also chosen to live in Brooklyn, Riverdale and Westchester County—a suburban area just north of the Bronx. Our program emphasizes personal growth and development, and leisure time is an important aspect of our residency. 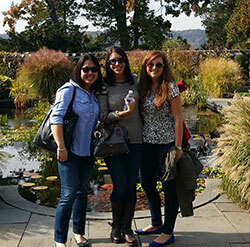 Not only do we organize twice-yearly resident retreats, but our residents develop close friendships and take advantage of all that the Bronx and Manhattan have to offer in terms of a rich social life. Leisure activities, unsurpassed anywhere in the world, are only minutes away. The famous Bronx Zoo, the New York Botanical Garden and the Wave Hill Public Gardens and Cultural Center are close at hand, and so is Yankee Stadium. Golfers can play at the Van Cortlandt Park course, one block from the West Campus. Tennis courts and riding stables are handy, and sailors can rent boats at City Island, a few minutes from the East Campus. For the culturally inclined, Lehman College Center for the Performing Arts offers opera, concerts, theater and dance. It is approximately 10 minutes from the West Campus, making it accessible even with a resident's busy schedule. Farther away, but easily reached by car or public transportation, are the many miles of beaches along the shores of Long Island Sound and the Atlantic Ocean. Skiing and other winter sport activities abound in New York State and New England, or to the west in New Jersey and Pennsylvania. Manhattan, the cultural and fashion center of the country, is a half-hour away from either campus by subway, bus or car. It offers a superb smorgasbord of theaters, operas, concerts, museums, galleries, boutiques, world-famous department stores, sporting events, historical landmarks, restaurants and an endless variety of other attractions. Its neighborhoods, from Wall Street to Chinatown, Greenwich Village, Fifth Avenue and the elegant East Side, are best sampled by walking, providing many fascinating hours of recreation. Interested in learning more about resident life at Montefiore? We encourage you to visit our House Staff office section for information. For more information on salary and benefits, visit our Salary info page.